HM King Mohammed VI chaired on Monday at Rabat’s Royal Palace the presentation ceremony of the upgrading program of the old medinas of Rabat and Marrakech and the complementary program for the upgrading of the old medina of Fez, as well as the signing of the relevant conventions. On this occasion, the Sovereign ordered the setting-up of the third phase of the program dedicated to buildings falling into ruin, as part of the rehabilitation program of the old medina of Casablanca for an overall budget of 300 million dirhams. Elaborated in line with the High Royal Instructions, these new programs are aimed at upgrading these old medinas, improve the living conditions of their inhabitants, preserve their architectural heritage and promote their authentic cultural wealth. At the beginning of this ceremony, the Interior Minister, Abdelouafi Laftit, said that these programs, which are based on a participative approach, will support the rehabilitation projects of the old medinas of Rabat, Marrakech and Fez. Thus, the upgrading program of the old medina of Rabat will be part of the various actions and projects carried out within the framework of the program “Rabat, the City of Light, the Moroccan Capital of Culture” which enabled the restoration of ramparts, historic doors, mosques and Zaouiyas, the rehabilitation of the traditional Foundouks, the setting up of green spaces and the fixing of run-down buildings, he added. As for Marrakech, the city has experienced as part of the development plan “Marrakech, City of Permanent Renewal” and of the program dedicated to buildings threatening ruin the fixing of more than 4,000 buildings, the rehabilitation of the neighborhoods of El Mellah and Ezrayeb, of the “Achouhada” Cemetery, as well as the development of tourist and spiritual tours of the old medina of Marrakech, the minister pointed out. Concerning the city of Fez, Laftit said that several restoration programs related to historic sites and buildings threatening ruin were carried out in the country’s spiritual capital, noting that these rehabilitation programs focused on the restoration of 27 historic sites, including madrassas, foundouks, bridges and souks. These programs, which benefited more than 1,600 people (craftsmen, shopkeepers, and students), enabled the reinforcement of more than 2,200 buildings threatening ruin in the old medina of Fez, he said. According to the Interior Minister, the new upgrading program of the old medina of Rabat is worth about 325 million dirhams, with a contribution from the Hassan II Fund for Economic and Social Development of nearly 250 million dirhams. 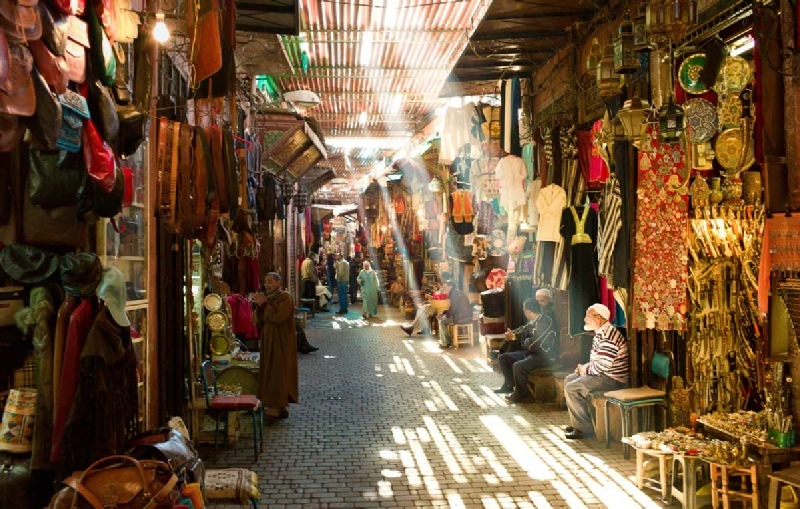 The upgrading program of the old medina of Marrakech requires about 484 million dirhams, the minister said, adding that the Hassan II Fund for Economic and Social Development contributed with 150 million dirhams. 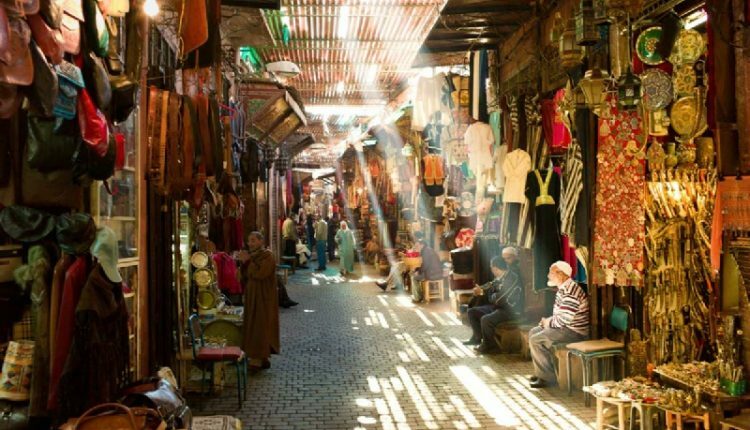 The complementary program for the upgrading of the old medina of Fez requires a budget of nearly 583 million dirhams, including 100 million as a contribution from the Hassan II Fund for Economic and Social Development. Laftit said, on this occasion, that HM King Mohammed VI has ordered the setting-up of the third phase of the program dedicated to run-down buildings, as part of the rehabilitation program of the old medina of Casablanca and with an overall budget of 300 million dirhams funded by the Hassan II Fund for Economic and Social Development. For his part, Minister of Tourism, Air Transport, Handicraft and Social Economy, Mohamed Sajid, said that these upgrading programs are aimed at strengthening the development dynamic experienced by these old medinas, as well as their tourist and cultural attractiveness, promoting their civilizational and human heritage and increasing the incomes of craftsmen. In this regard, Sajid said that the complementary program for the upgrading of the old medina of Fez (2018-2023) includes the rehabilitation of 39 historic sites (Foundouks, workshops, souks) and 10 mosques and Koranic schools, the upgrading of 11 historic sites (water clock, museum of Jewish culture), the restoration of Dar Al Makina, in addition to the building of 8 parking areas and the renovation of the signalling system. The upgrading program of the old medina of Marrakech (2018-2022) includes the promotion of historic sites, the reinforcement of the signalling system and the lighting network, the establishment of interactive platforms for tourist information, and the building of 6 parking areas, including two underground areas, he added. The upgrading program of the old medina of Rabat (2018-2021) will focus on the development of Bab El Had Square, the strengthening of the signalling system, the setting up of interactive platforms for tourist information, alleyways (8 km), and the building of two underground parking areas at Bab El Had and Bab Chellah, with a total capacity of 1,090 vehicles, he said. On this occasion, HM King Mohammed VI chaired the signing ceremony of three partnership and financing agreements relating, respectively, to the upgrading program of the medina of Marrakech, to the complementary program of the upgrading program of the medina of Fez, and to the development program of the medina of Rabat, as well as a convention for the preparation of the third phase of the program relating to run-down buildings (rehabilitation program of the old medina of Casablanca). At the end of this ceremony, HM the King offered a reception in honour of the figures attending the event.